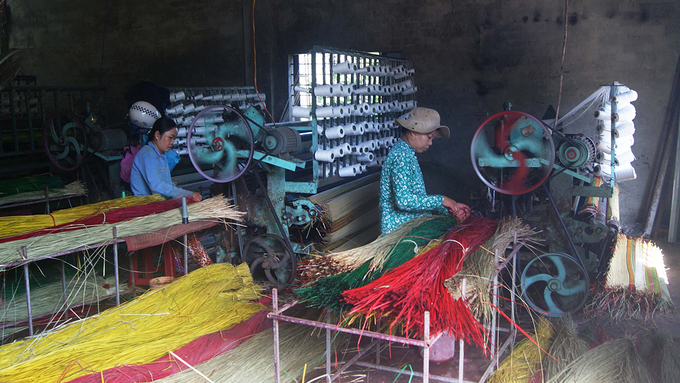 Phu Tan Village in Phu Yen Province has become well known for its traditional craft of weaving sedge mats. 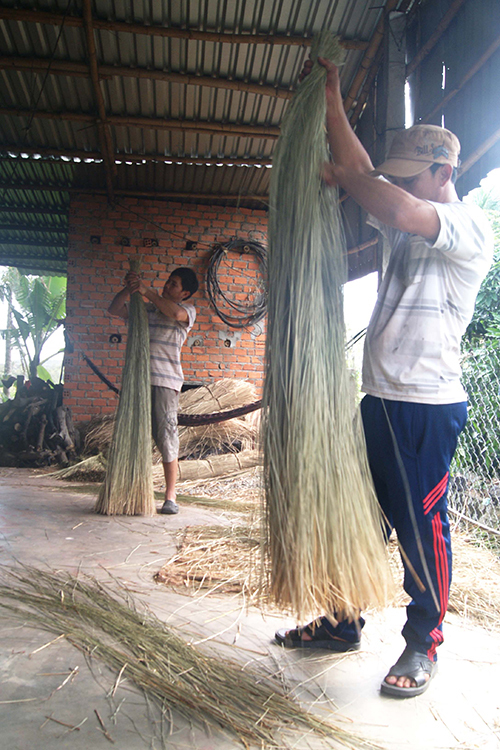 Across Vietnam’s Central Highlands and south-central provinces, and in other parts of the country, sedge mats are used widely. For many residents, these mats, made with a grass-like plant that grows in temperate and cold regions, are the preferred, comfortable option to sleep on. 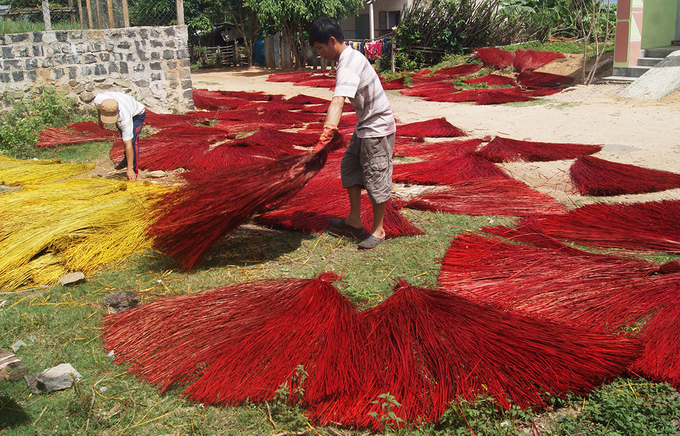 The most famous place for sedge mats is Phu Tan Village in Phu Yen Province. The village currently has 25 hectares of land on which sedge is grown. Thanks to stable raw material input, the village has done well with its traditional vocation that offers employment for more than 600 people.. 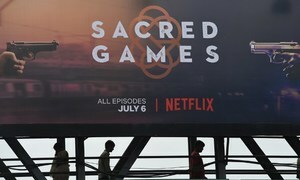 The village has two mechanized production sites. 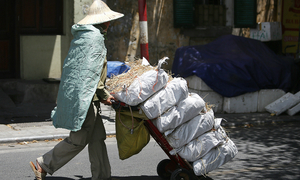 It sells sedge mats worth VND5.3 billion ($230,000) per year on average. 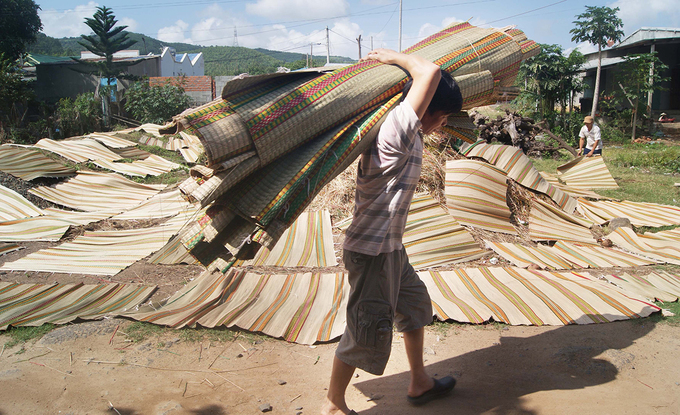 The average income of one mat maker is VND4 million a month. Sedge is harvested and sun-dried, then clustered and dyed. The colored sedge strings are sun-dried again and woven into mats. 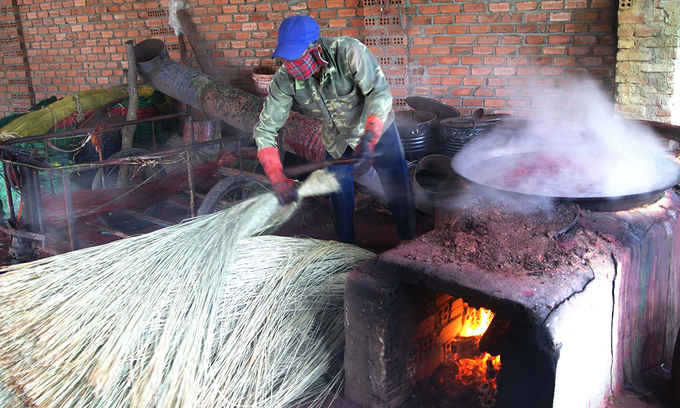 The dyeing stage is very important and requires experienced craftsmen. Dyed sedge is dried in the sun. 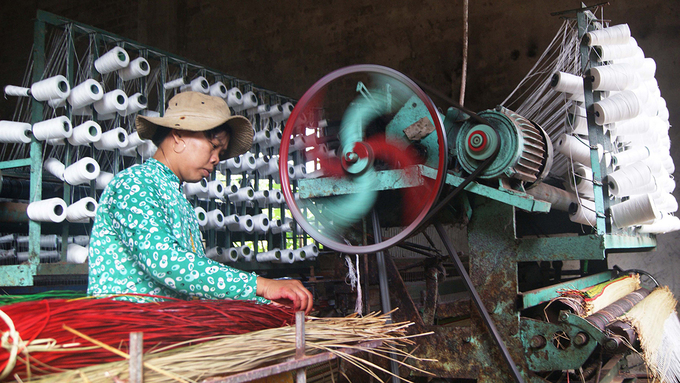 With increasing demand, several households have installed weaving machines to boost productivity. 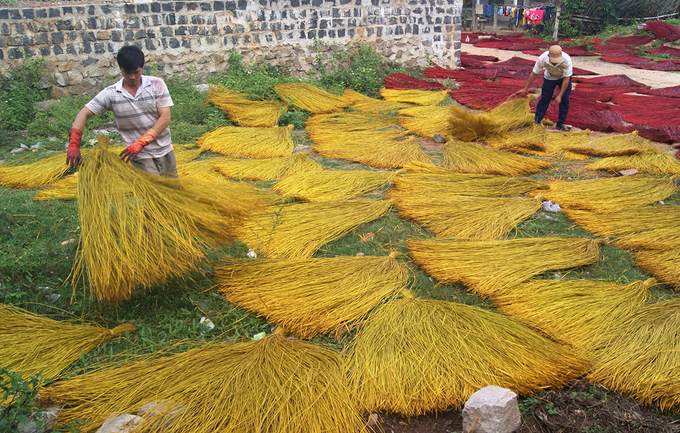 Women line of bunches of colored sedge before they are woven. 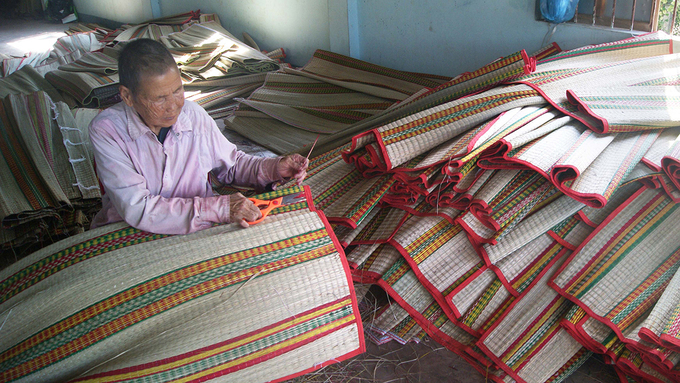 Some elders still make mats with their hands, passing down their skills and experience to novice workers. 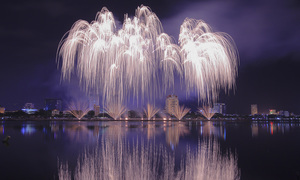 A handmade mat is sold for VND50,000 – 60,000; and a machine-made mat for VND130,000 – 160,000. 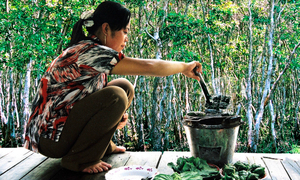 The village’s products are popular in many other provinces, including Gia Lai, Dak Lak, Khanh Hoa and Binh Dinh. 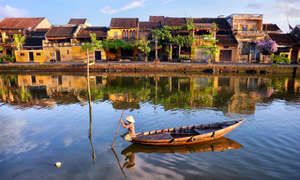 The village is in An Cu Commune, Tuy An District. From Tuy Hoa in Phu Yen, you can follow Highway 1A to reach the Phu Tan station and ask for the way to the village. During the day, it is also worth visiting a nearby swamp called O Loan.